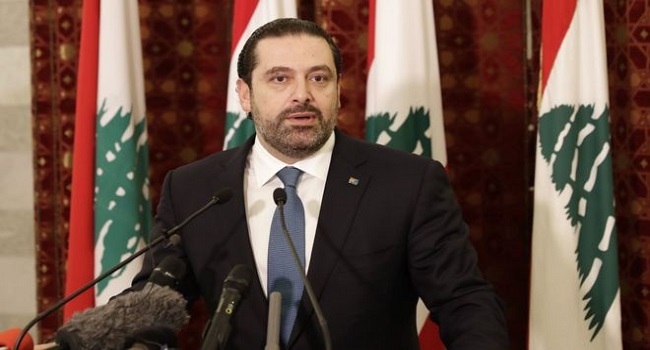 Lebanon’s Prime Minister Saad Hariri says he resigned to protect himself and will return home “in days”. Mr Hariri told Future TV from Riyadh that he was free and would “return to Lebanon very soon”. Lebanon’s president and others have said he is being held against his will in the Saudi capital. It is his first interview since resignation last week which sent shockwaves through the region. He has blamed the Iran-backed Hezbollah. Mr Hariri, a Sunni leader and businessman, was nominated to form Lebanon’s government in November 2016. Mr Hariri recognised that he did not resign in the “usual way” but said he wanted to give his country a “positive shock”. Iran and its Lebanese ally, the militant group Hezbollah, have accused Saudi Arabia of holding Mr Hariri hostage. But Mr Hariri insisted that he was free to travel as he pleased in the country. “I am free here. If I want to travel tomorrow, I will,” he said. Lebanon’s President Michel Aoun has not formally accepted Mr Hariri’s resignation.